Name: Dr. Edward A. “zkidanomalous” Llewellyn, Esq. RDML Edward Aleksandro Llewellyn, USCG(Ret), LHD(Hon), PedD(Hon), DUniv(Hon), DAS, DA, DCom, DDipl, DEnv, DLS, DML, PhD(x4), DProf, PsyD, DSc, DSSc, DEng, JD, SA, EdS, MAcc, MArch, MARA, MA(x2), MCRP, MDM, MEnt, MEDes, MFA(x2), MFS, MHA, MHP, MHS, MH, MILR, LLM, MLIS, MMed, MMAS, MME, MNO, MPIA, MPE, MPS, MPW, MPPA, MRes, MRM, MSM, MS(x2), MSW, MStat, ThM, M██, BAvn, BFTV, BI, BIS, BJ, BMS, BTL, BTS, AAS(x2), Esq. Profile: Dr. Llewellyn is a highly trained researcher of the Foundation and self-described "polymath," notable for his numerous academic degrees. Easily entertained by the most sophomoric of comedy, his loyalty to the Foundation is matched only by his love of cider and gin. Dr. Llewellyn was born and raised in San Francisco, California, and spent a period of his young adulthood in Albuquerque, New Mexico. He settled in Vaduz, Liechtenstein for one week in October, 19██, mostly to reference his awareness of the principality on every resume. 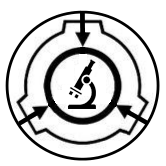 He is a member of the local humanist association, and would be skeptical of anomalous entities as well, had SCP-682 not eaten his favourite hat during a breach when Dr. Llewellyn was still a civilian. The Foundation's admiration of his credentials saw him recruited the following evening. During his tenure at the Foundation, Dr. Llewellyn has documented numerous █ objects, none of them serious, and engaged in ██ extramarital affairs with other personnel, none of them serious. His favourite mottos are "If you can't convince them, confuse them," and "Why is the rum always gone?" Dr. Llewellyn once swore loyalty to the King of Tonga during a drunken stupor, only to find himself on a barge destined for Kiribati the next morning. It was still more comfortable than the USCGC Smilax. Dr. Llewellyn served 23 years as a decorated commissioned officer in the United States Coast Guard, reaching Rear Admiral (lower half) as the Deputy Judge Advocate General, until retiring in 20██. He served on countless vessels in the Pacific and Arctic oceans during his commission, and was assigned to Coast Guard Headquarters in Washington, District of Columbia before retiring. The following are the highest professional and academic degrees known to be held by Dr. Llewellyn. Although achieving his resume would normally require ███ years of coursework at a cost of $██.█ million, Dr. Llewellyn has been able to circumnavigate these barriers by [DATA REDACTED]. At least half a dozen others may be in progress. Dr. Llewellyn has suffered extensively from mental illness since his youth in San Francisco. While still pursuing an accomplished career, he often requires extended periods of isolation and treatment to mitigate his symptoms, up to █ months at a time. Even during Dr. Llewellyn's most severe episodes, he is commended for showing unusual resilience when responding to Foundation crises. This list is being continuously updated as Dr. Llewellyn discovers the wonders of YouTube. A Christmas Carol in Prose, Being a Ghost-Story of Christmas (1843) by Charles Dickens. The Alchemist (1988) by Paulo Coelho. Animal Farm (1945) by George Orwell. Character in Action: The U.S. Coast Guard on Leadership (2013) by D. T. Phillips and J. M. Loy. The House at Pooh Corner (1928) by A. A. Milne. The Lorax (1972) by Dr. Seuss. The Mouse That Roared (1955) by Leonard Wibberley. The Mysterious Island (1874) by Jules Verne. Nineteen Eighty-Four (1948) by George Orwell. Through the Looking-Glass, and What Alice Found There (1871) by Lewis Carroll. The Tragedy of Hamlet, Prince of Denmark (ca. 1600) by William Shakespeare. Waiting for Godot (1953) by Samuel Beckett. A Survivor from Warsaw (1947) by Arnold Schoenberg. Air on the G String (ca. 1730, orch. ca. 1890) by Johann S. Bach, orchestrated by August Wilhelmj. Canon and Gigue for 3 violins and basso continuo (ca. 1700) by Johann Pachelbel. Deux Arabesques (ca. 1890) by Claude Debussy. Einstein on the Beach (1975) by Philip Glass. Electric Counterpoint (1987) by Steve Reich. Hamilton: An American Musical (2015) by Lin-Manuel Miranda. The Hunchback of Notre Dame (1996) by Alan Menken. Les Miserables (1980) by Claude-Michel Schonberg. Pictures at an Exhibition: A Remembrance of Viktor Hartmann (1874, orch. 1922) by Modest Mussorgsky, orchestrated by Maurice Ravel. Requiem in D minor (1792) by Wolfgang A. Mozart and Franz X. Suessmayr. Rigoletto (1851) by Giuseppe Verdi. Spiegel im Spiegel (1978) by Arvo Part. Symphony No. 1 “Low” (1992) by Philip Glass. Wicked: The Untold Story of the Witches of Oz (2003) by Stephen Schwartz. The Young Person's Guide to the Orchestra: Variations and Fugue on a Theme of Purcell (1945) by Benjamin Britten.